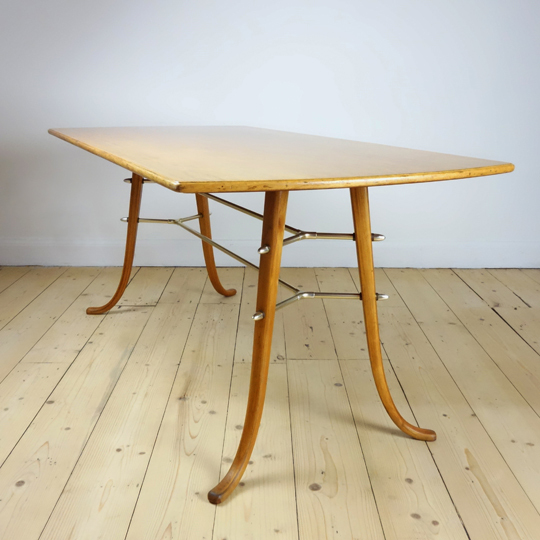 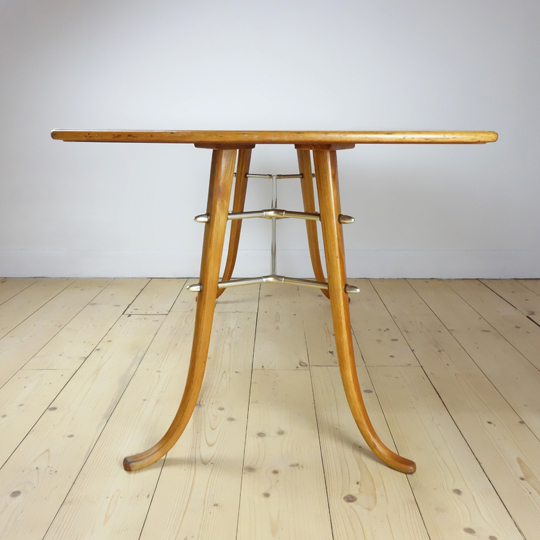 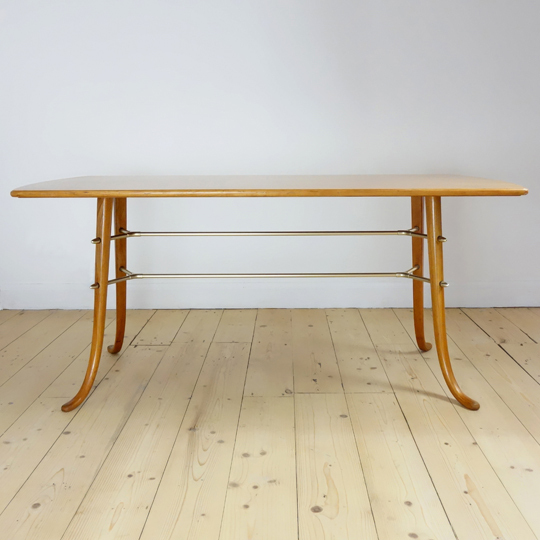 A beautiful and unusual looking table attributed to Josef Frank (Sweden), Cica 1950, combining modernism and simplicity altogether. 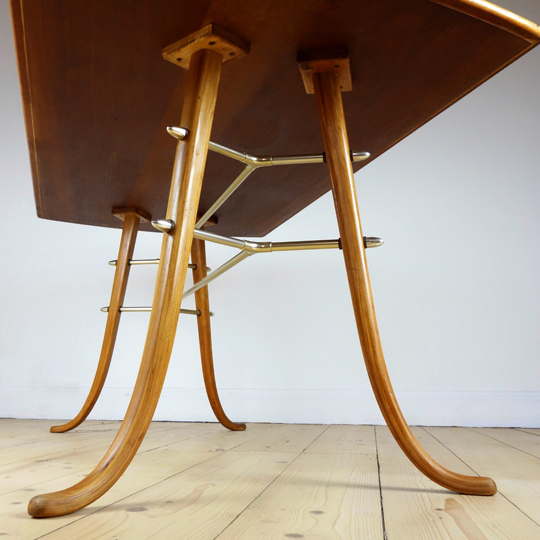 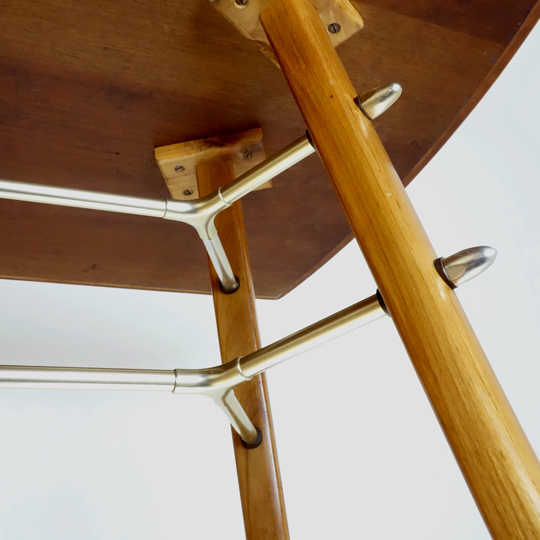 Made from birch, this elegant cocktail table features four curved inverted legs symmetrically connected by two metal supports giving its modernist look. 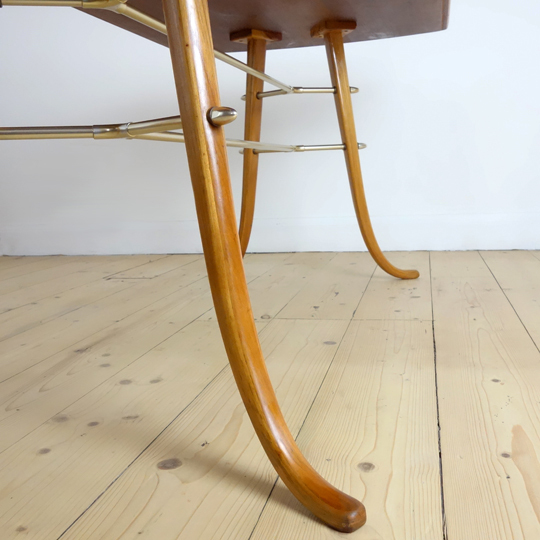 A stylish design, screaming character and originality. 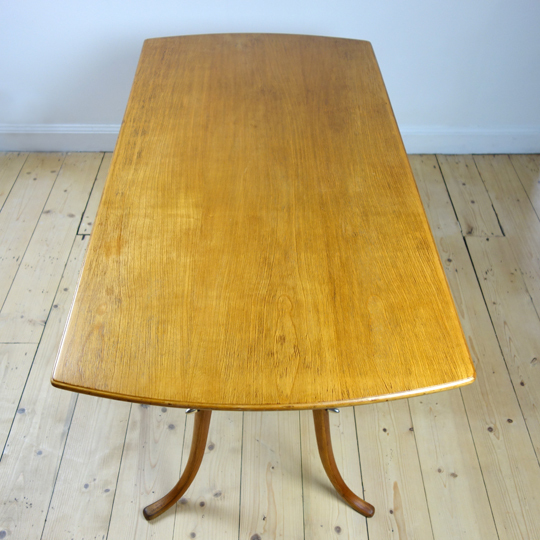 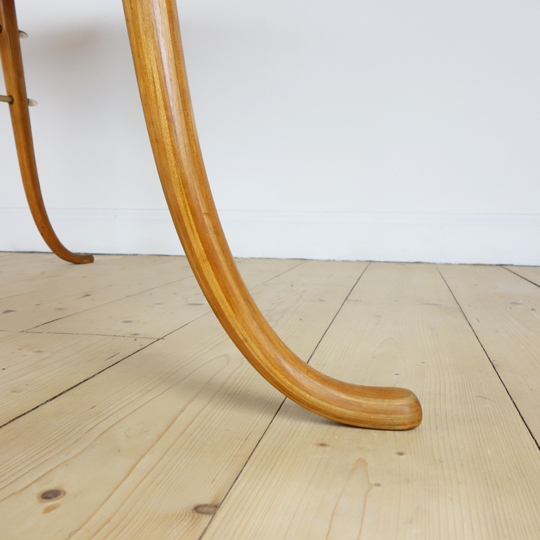 Rare to come by and in good condition, the top and legs show signs of wear and usage, but no visible damage.